I originally wanted to build something out of wood; however, I felt a wood design would be difficult to build without a table saw. 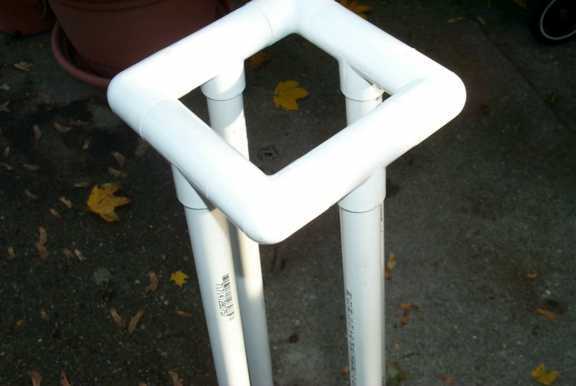 After wandering around various home-improvement stores, I finally settled upon using PVC pipe. 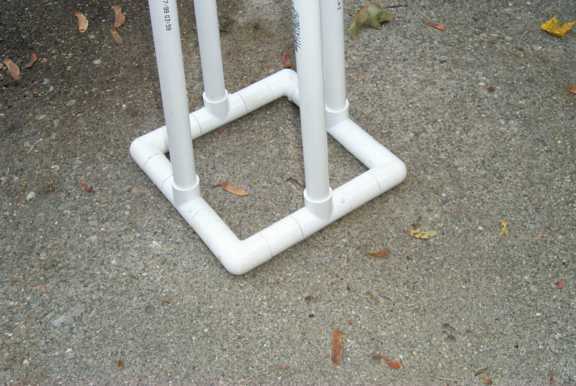 Figure 1 shows the various pieces used for the base assembly. 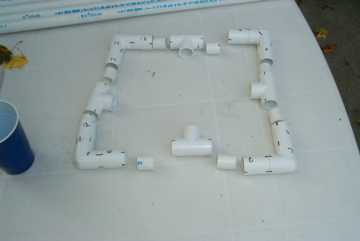 The T-joints, elbow-joints and thru-joints were connected with ~2-inch pieces of 3/4-inch PVC pipe cut from longer pieces. All of the pieces were joined using epoxy. 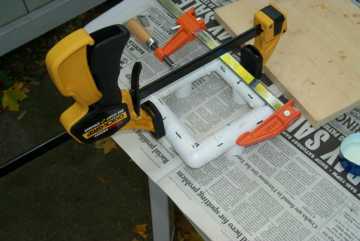 The black markings are for aligning the pieces after applying the glue. 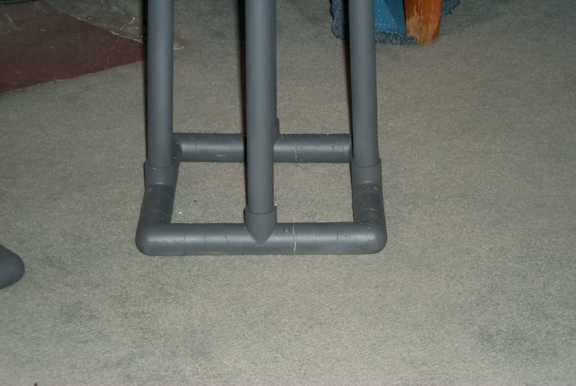 Figure 2 shows a dry fit of one of the stands. 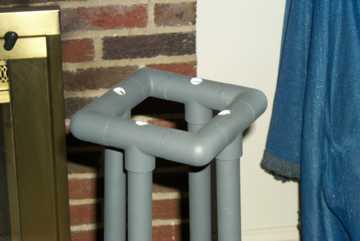 Originally I was going to add wood platforms to the top and bottom of the stands for stability. 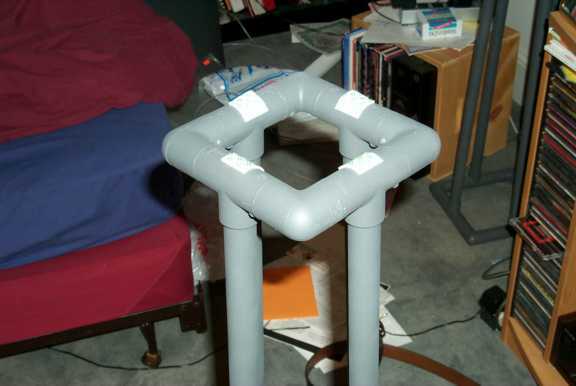 However, once I did the dry fit, I found that the stand was remarkably stable as-is. I decided to fill the legs with sand, and other wise leave them be. The final steps were to prime, paint, and fill with sand. 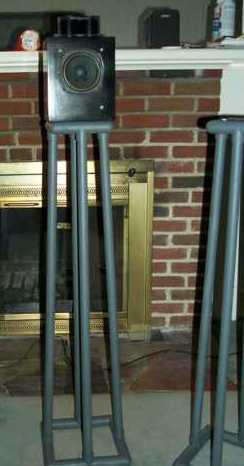 I painted the stands with a textured gray spray paint to give them a metallic-look (well, at least it doesn't look like PVC pipe!). I also found that the excess epoxy around some of the seams looked like welds, which completes the illusion. 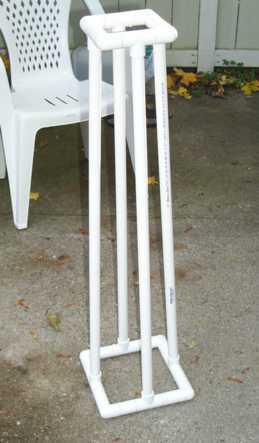 For stability, I added about 1 cup of sand into every leg of each stand (see images below for pour-holes). 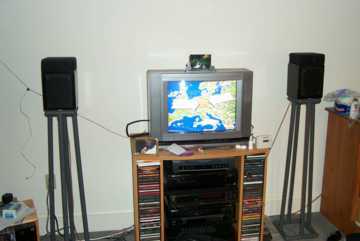 I find that I can tip the stands about 30 degrees from vertical (with satellites) and they return to the upright position without tipping over. Overall, I'm extremely please with them. 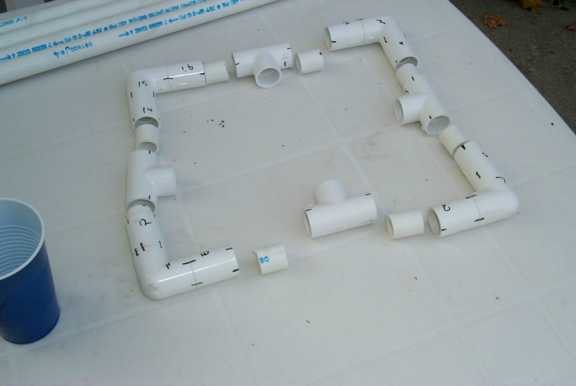 Total parts cost (PVC pipe, T/Elbow/Thru connectors, epoxy, primer & paint) was about $30. Total time was about 4 hours of my labor spread over 2 weeks (doesn't include time spent waiting for epoxy or paint to dry. 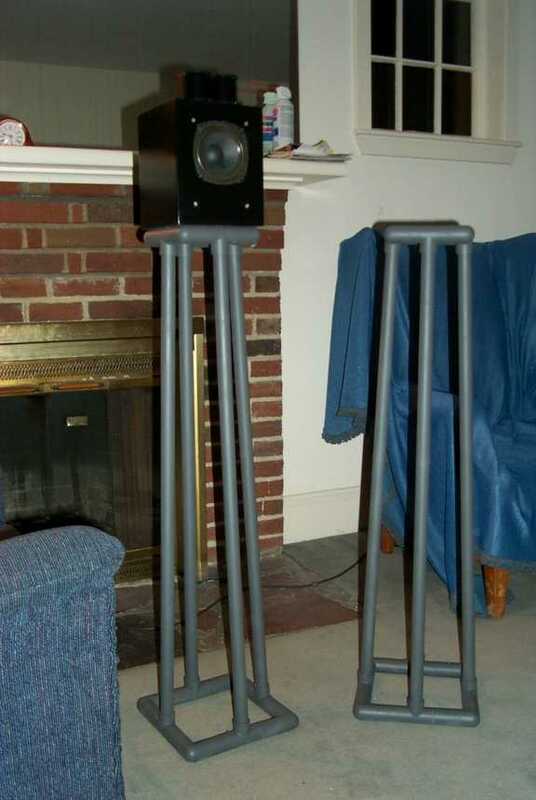 If you're looking for other DIY speaker stand ideas, you can look here for inspiration.